We’re so excited to welcome new staff! This month, we’ll introduce you to our new coordinator, Alannah Tomich. 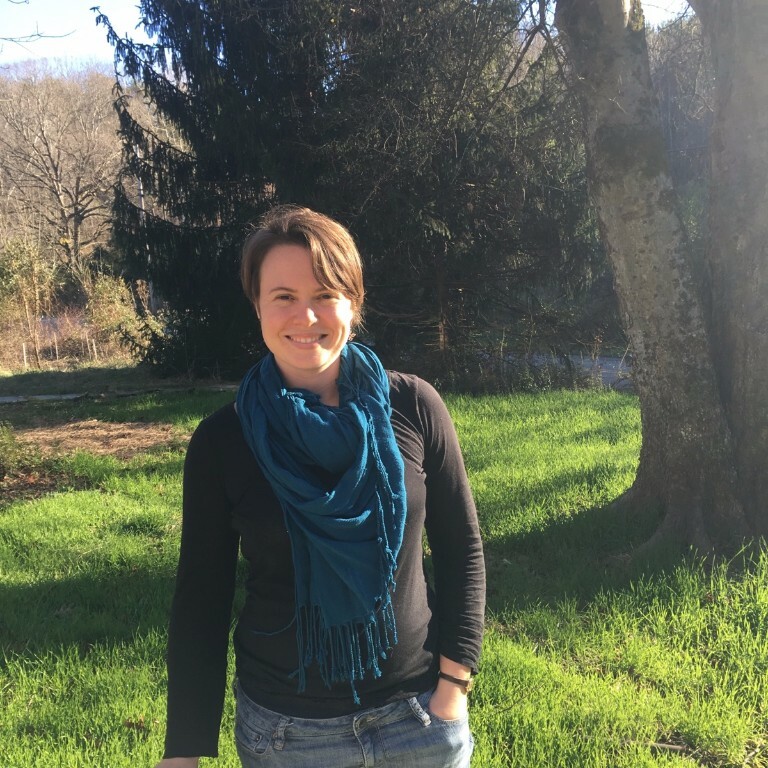 Alannah Tomich comes to the Alliance from Western North Carolina, where she was a Center for Disease Control (CDC) fellow working on diabetes, depression and substance abuse with the Eastern Band of Cherokee Indians. She has particular experience with strategic planning, grant funding and health data. For the last four years she has worked within government health agencies on disparities in access to services. Alannah has long been interested in community organizing to influence public policy. Alannah holds a degree in public health from UC Berkeley, where she was part of a successful campaign for university policy to ensure access in developing countries to medicines that were developed by campus research, as well as promoting local, organic food in the student dining program. She now lives in Kingston, TN where she enjoys waterfalls, woodstoves and yoga. From Alannah: “The biodiversity and cultural heritage of the Appalachian region are truly special. I grew up literally all over the world–sometimes not sure where to call home—and in these mountains I see a place where communities are deeply tied to a sense of place. I believe that preserving the natural world is one of the highest callings. We’re so excited to welcome Alannah to our team! The Lorax spoke for the trees – but who is going to speak for water? Over the past few months, over 90,000 people have! We’re so grateful to people like you who responded to our calls for comments for a strong Stream Protection Rule, for defense against selenium pollution, and to protect a little endangered fish called the Kentucky Arrow Darter whose habitat is at risk from mountaintop removal. Despite intimidation from the coal industry, hundreds of people traveled long distances to show up and speak up for a strong Stream Protection Rule in Lexington, KY, Big Stone Gap, VA, Charleston, WV and other cities nationwide. Time and again we heard from our contacts at federal agencies how important our comments were – and how thoughtful and in depth the comments from our members are. Small acts like this build up to create a powerful wave of support! We are planning to make sure that the Obama Administration leaves a legacy of enforcing the law and protecting Appalachian water. Stay tuned for how you can join us in the next stages of this work. 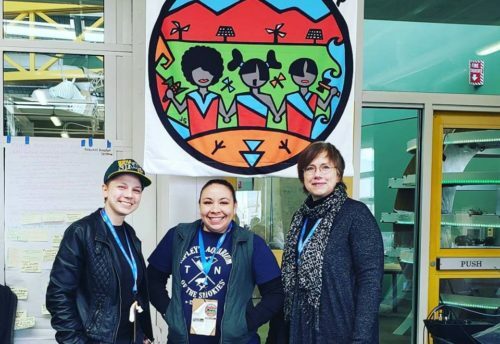 Communities throughout Appalachia have been showing their support for the POWER+ campaign by passing resolutions in favor of the proposal from the Obama administration. So far resolutions have been passed in 26 communities throughout the region! The POWER+ plan would bring money for abandoned mine land reclamation, work-force development and to protect mine worker pension and benefits to coal-affected communities across the nation. 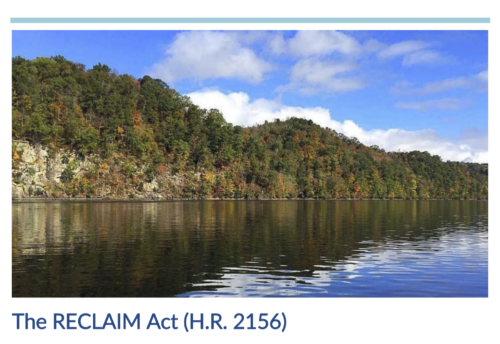 To support these efforts, and to help expand these resolution beyond Central Appalachia, members of The Alliance for Appalachia recently hosted two webinars on “How to Pass a Resolution.” You can view a recording of the webinar here. 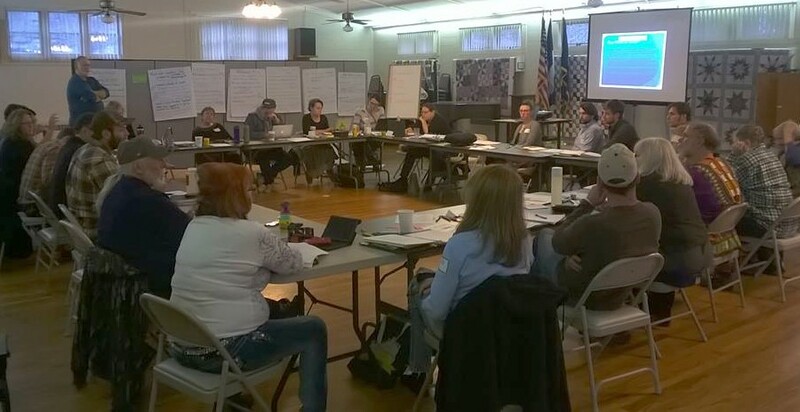 The Alliance for Appalachia also had the opportunity to host a strategy session for those working on the POWER+ plan, to explore opportunities to promote this plan and other avenues for economic transition in 2016. It was a productive meeting, and we are bursting with ideas and energy to push this work forward. if you are interested in getting involved in these conversations, there are many ways to join us! Contact info@Theallianceforappalachia.org to learn more! The Alliance for Appalachia just wrapped up our last strategy summit of the year – a productive three day meeting hosted by the Hindman Settlement School in beautiful Hindman, KY.
We were surrounded by beautiful quilts and mountain morning mist as we mapped out our workplans for 2016. Highlights we can’t wait to bring to you include discussions about what we want to see from the Obama administration in the next year, what’s next for our region, and an upcoming Policy 101 training in April. Stay tuned! End of Year Fundraising – Don’t Delete Those Emails! It’s that time of year again – members of The Alliance for Appalachia – and other non-profits across the country – are busy not only making plans for a strategic and powerful 2016 – but also working hard to fundraise so they can carry out their important work. Giving to grassroots groups allows them to prepare for the work that they know most needs done – as important as large donations and grants are to our functioning, it’s the small donations that keep our doors open. Giving $25, $50 or $100 to a smaller group means that your giving dollars are stretched farther and you know that you are making a real, immediate difference on the ground. It’s a real way to make a difference – so open those emails, be inspired by the amazing work happening in our region, and then donate what you can to keep the work going in the new year! Major Victory in Tennessee!Have you heard the good news? The Office of Surface Mining is moving toward approval of Tennessee’s petition to have 67,000 acres protected from surface mining! SOCM began this fight years ago – we’re so excited to see this important protection move forward! However, there’s still a lot of work to do. 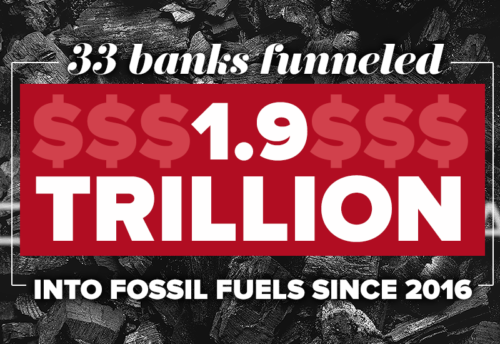 We know the mining industry won’t let this happen without a fight. That’s why we’ll need to work together to support our Tennessee friends as they work hard to organize robust public participation in the comment period. 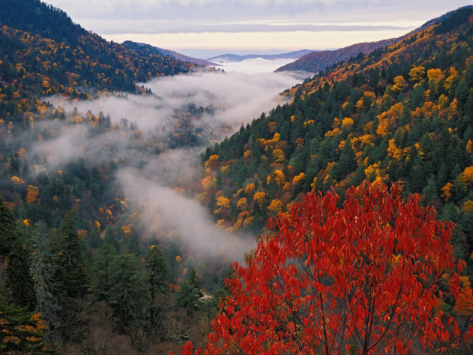 It’s time to take a stand for the mountains, wildlife, and people of Tennessee! Want to get more involved? Fill out this form to learn more about what you can do – including attend a hearing and submit a comment. An End to Frasure Creek’s Water Violations in Kentucky! Appalachian Voices recently finalized a historic settlement in a case against Frasure Creek Mining. The settlement follows a five-year-long legal battle to protect eastern Kentucky’s waterways and bring a coal company notorious for violating environmental laws to justice. 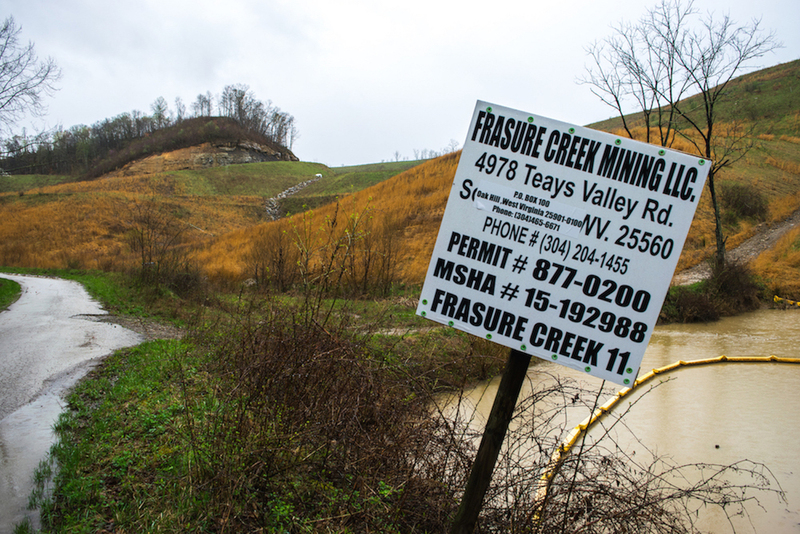 The agreement is notable not only for the large penalty imposed, but also because it effectively bars Frasure Creek from further mining in Kentucky. Of course, money can never replace the permanent damage done to our water and our communities, but we need to celebrate the hard work and good people who have stopped Frasure Creek from causing any more harm to Kentucky communities. Learn more about this important – and hard fought – victory here.